Are you thinking of making your own carpet creation? It isn't nearly as complicated as they look and you probably have all the accessories you need lying around the house! 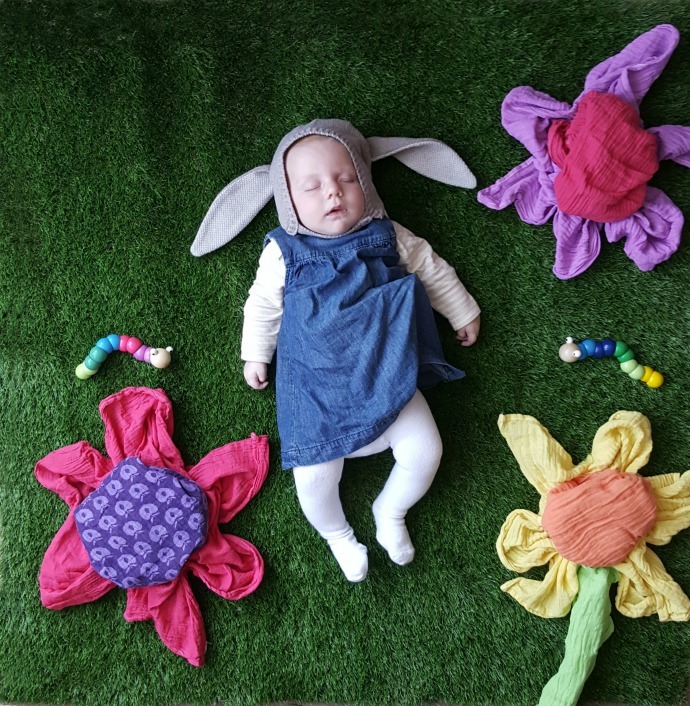 Here is how I put together my sleeping bunny scene. Step one – Think about the scene you would like to create. Cora was asleep in the car in her bunny hat and I decided to base the creation around that. The possibilities are endless though so have a look around the room and choose something to inspire you. If you are still looking for ideas look at the names of the Carpetright carpets- Mist and Highland Design for example offer ideas just with their names. Step two – A sleeping baby is essential and ideally one in a very deep sleep so you can put them down somewhere other than their cot and move them around a little. We actually went swimming before I took this shot as I know she is always so tired afterwards. Cora hates sleeping on her back so I love that I managed to get these shots. Step four – Use whatever you have lying around to help elaborate the scene. 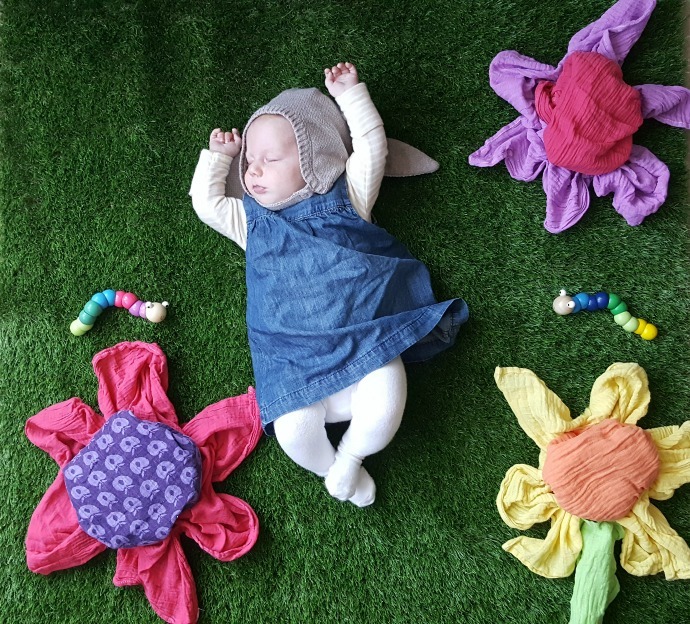 As a mama to a small baby I have muslins everywhere so I grabbed a handful of coloured ones to make some flowers in my garden scene. They are very versatile props, as are bed sheets and towels. Kids toys are the perfect size next to a sleeping baby too. Step five – Get up high to look down. I put a chair next to my creation so that I could lean over and get lots of the scene in. I took these photos on my phone as I could get everything into the frame and then cropped the edges out using free editing tools online. I must have looked ridiculous to anyone looking through my living room window, but these images are ones that I will always treasure (and always have to torment my daughter with when she hits the teenage years). I love how there is no limit to your creativity when making a carpet creation, there are unlimited ways to make your own scene and I am excited to be judging the public competition on behalf of carpetright! Make sure you get your entry in quick as the competition finishes on Friday! !